I sit up and listen when someone is able to raise people from the dead. Jesus is that someone. Not only is He able to raise people from the dead but Jesus foretold his own crucifixion, resurrection and ascension into heaven. In my books that makes Jesus, together with His Father, the authority on living forever. I find this easy to believe because when death came knocking on my door, I called upon my Creator and His Son and they heard me. And they answered me. So, yes I am a believer. 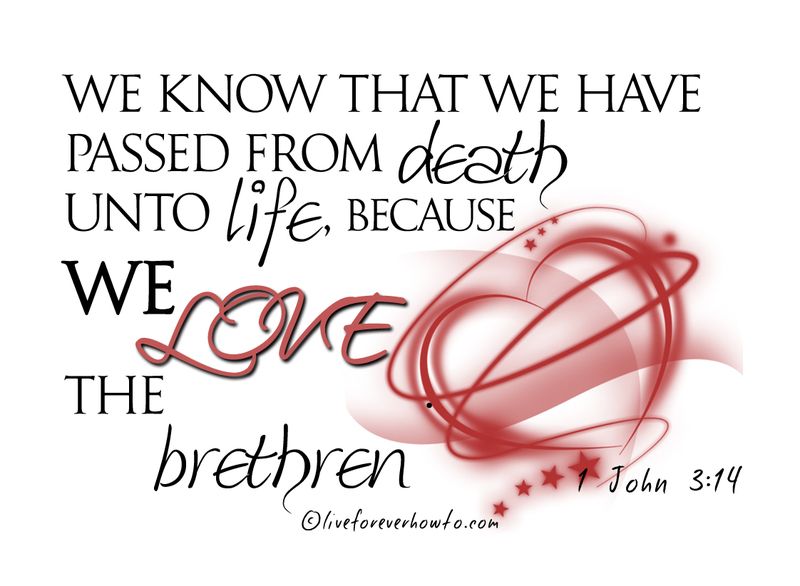 Last week we finished the free ABC Scripture Card series and you can find all the posts on Free Scripture Cards here and now we’re back looking at the occasions where ‘Living forever’ is mentioned in the Bible. To find all the posts which have been written on living forever on this blog you can click here. So far I’ve noted all the occasions where the words ‘live forever’ have been mentioned. But that’s not all there is to it, obviously. Nowadays we tend to think that ‘dead’ is well, yes ‘dead,’ gone, never to come back. There are some occasions mentioned in the news every now and then where people have been declared dead or buried prematurely but apart from that, in today’s news, we don’t really hear stories about people being brought back to life. In the Gospels we’re told how Jesus resurrected the widow’s son at Nain, He raised Jairus’ daughter from the dead and also raised his friend Lazarus from the dead after he’d been already buried for four days. Finally we read in the Gospels how Jesus rose from the dead. And the tombs were opened, and many bodies of the saints who had died arose. 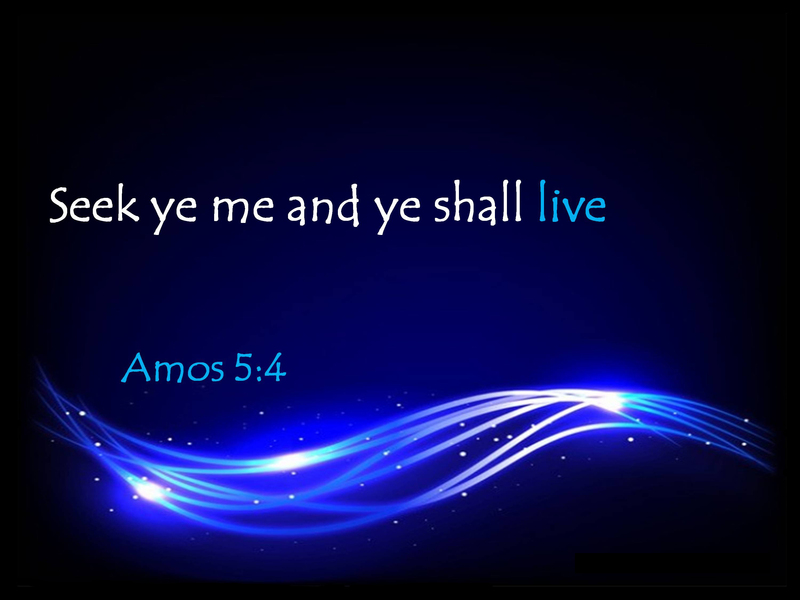 Jesus, like the prophets Elijah and Elisha, raised people from the dead. 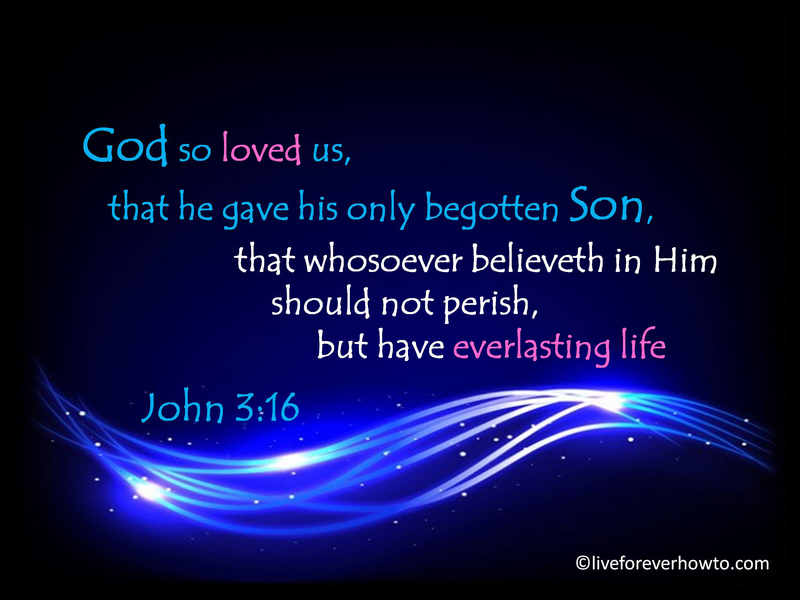 Jesus spoke about everlasting life. He made at least a dozen references to everlasting life and we’re going to go through them one by one. I am not the only person who thinks that Jesus and the Father are the authority on everlasting life. Scripture agrees. 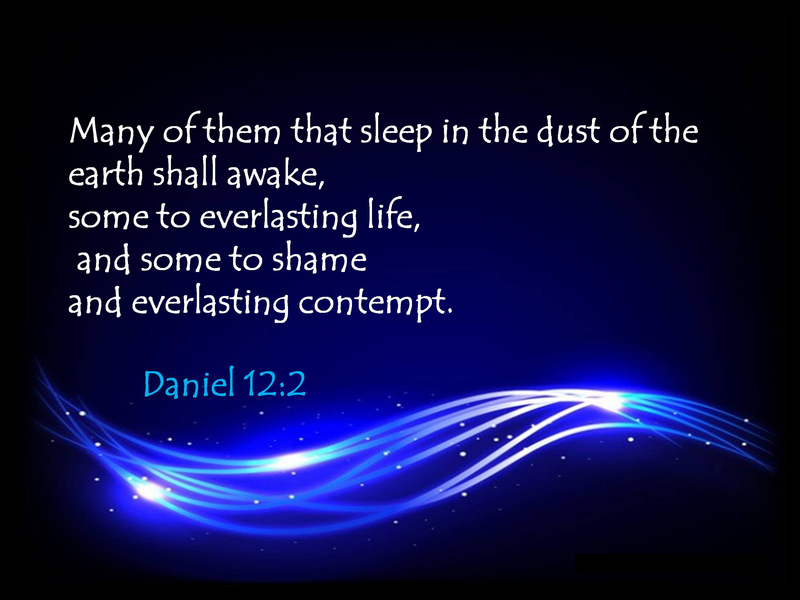 Next week we’ll have a look at what Jesus had to say about everlasting life. Categories: A BIT OF EVERYTHING, LIVE FOREVER, PROMISES AND PROPHESIES | Tags: brought back to life, Elijah, Elisha, everlasting life, Jesus, live for ever, rasing people from the dead, resurrection | Permalink. The quote on this Scripture Card tells us to be glad that God is in charge because He will not fail nor be discouraged till he has established justice in the earth. 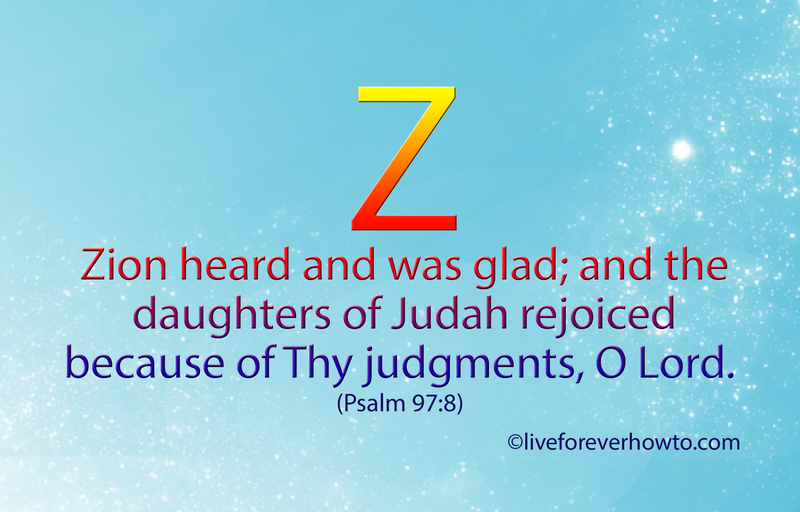 Categories: A BIT OF EVERYTHING, FREE ABC SCRIPTURE CARDS, PROMISES AND PROPHESIES, SCRIPTURE CARDS and FREE SCRIPTURE eCARDS | Tags: judgment, justice, promises of light and gladness, Psalm 97:8, Scripture Cards, Sola Scripture, Zion | Permalink. Categories: A BIT OF EVERYTHING, FREE ABC SCRIPTURE CARDS, SCRIPTURE CARDS and FREE SCRIPTURE eCARDS | Tags: all about love, Bible Gateway, CBT, Cognitive Behavioural Therapy, Free Scripture Card, God's Word, positive thinking, prayer, Psalm 119 | Permalink. Become as little children if you want to enter the kingdom of heaven. What does that mean? Jesus’ disciples wondered who would be considered the greatest in the kingdom of heaven. 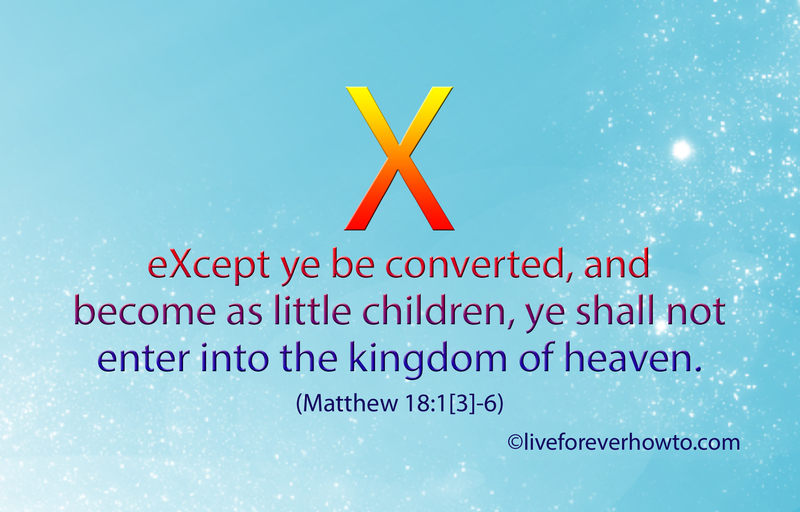 Jesus said that unless his disciples would become as little children, they had no hope to enter the kingdom of heaven. The very fact that his disciples concerned themselves with ‘who would be the greatest in the kingdom of heaven,’ indicates that, at that time, they lacked the humility required to enter. A little child generally is not concerned with who will be the most powerful sometime in the future. Jesus answered that the most humble among them will be the greatest in the kingdom of heaven. Jesus continued and said that whosoever shall receive a humble and innocent person in Jesus name, will also be acknowledged by Him. Have you found that people are taking advantage of your trusting nature and your generosity? This could indicate that you may be on the right path. Because we are taught to be as little children. This does not mean that you ever should allow people to mistreat you. But the message is to keep our heart soft and wide open and not worry too much about people who abuse your good nature. I apologise for the cheeky X. 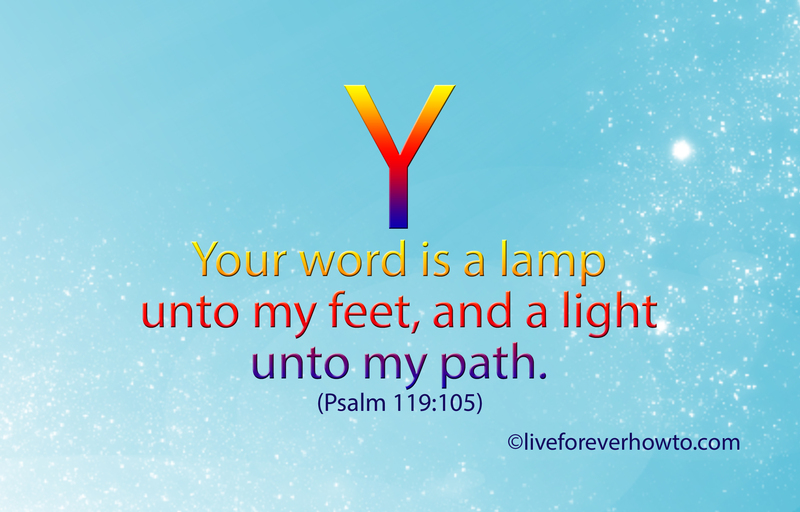 If you can show me another Scripture verse with a better X, I would love to hear from you. Categories: A BIT OF EVERYTHING, FREE ABC SCRIPTURE CARDS, LIVE FOREVER, PROMISES AND PROPHESIES, SCRIPTURE CARDS and FREE SCRIPTURE eCARDS | Tags: be as little children, Kingdom of Heaven, Matthew 18:1-6, Scripture Cards, the kingdom of heaven, the warning of the millstone | Permalink.